As a child, I found a rock one day at the beach. About the size of my hand, the dark grey rock was full of holes the perfect size for little fingers. Something about it sparked my imagination. I kept that rock for years, taking it to show and tell and displaying it on my windowsill. 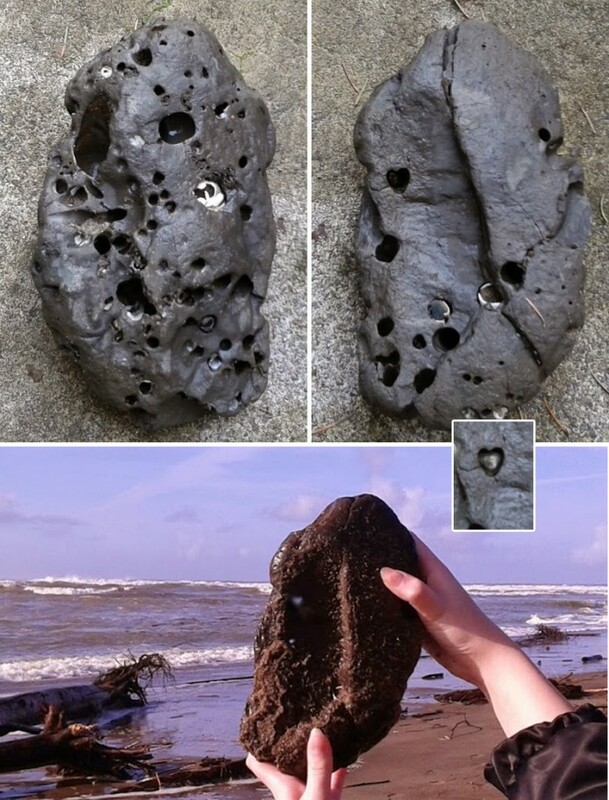 Last weekend, while walking along the beach with my husband and two girls, I found a similar rock, only much larger. Since my youngest daughter is just a bit older than I was when I found my childhood rock, I decided I needed to bring it back as a souvenir. We had just started our beach walk when I found it. In retrospect, I should have left it to retrieve on the way back. But, I didn’t realize how long we’d be walking and I was bit concerned that there were a lot of people around who might also want this treasure. My rock started getting heavy right away as we trekked down the shoreline. No one offered to carry it. It got heavier as our car became tiny and disappeared in the distance. Although I tried switching it back and forth to rest each arm, it started to really annoy me. About the time we finally turned around to make the long walk back towards our car, my arms ached. My generally helpful husband told me to leave it and reiterated that he wouldn’t carry “the silly rock” for me — he was having too much fun poking things with driftwood and discovering other washed up treasures with our girls. 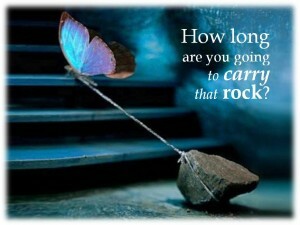 So, I continued to carry my rock on my own. I was focused and determined to get the rock back to the car. My rock was a sunk cost. If I put it down before reaching the car, I’d have nothing but sore arms. As it is in business, all the effort is just a cost. Whether you are carrying a rock or nurturing a business, the initial effort we put in often what keeps us going. Unfortunately, the amount of sunk cost often has very little to do with the potential of the business (or value of the rock). If you bought supplies or inventory, they have value. There may even be value in the brand that you establish. But, the time and effort put in are not recoverable and add no monetary value to the business. Or my rock. I hear entrepreneurs valuing their sunk cost on shows like Shark Tank. They say things like, “I’ve worked so hard for the past three years…” They see sales potential, but form value based on their time and effort. Sadly, that doesn’t matter to an investor or potential buyer of your business. The value of your business is today’s value of the tangible goods and intellectual property (if any) minus the debt. If you have sales and established channels, there may be a multiple applied to the value because you have proven that a market exists. Effort and time spent are not in the equation. This can be a painful reality for those struggling to see profits from their business. But, like my rock, your business does not need to be abandoned just because it hurts now and the pay off is yet to come. It’s a new year and a great time to reflect. With the holiday sales numbers in and the start of the new year, several business owners have contacted me this month to talk about where their businesses are and where they are going. Are you at that crossroads? Take advantage of the lull if you are experiencing it. Use this time to look at the big picture. One very bright business owner contacted me recently as she was pondering her next steps. She is the inventor of a unique apparel item and wanted to discuss whether or not it was time to quit. Weary from the long journey and disappointing sales, she has a big decision to make. With most of her 2014 inventory sold, the next step would be a big purchase of new inventory for the next season. It’s a large investment. I could imagine her way off along the shoreline, deciding whether to bring back a rock or just carelessly walk back along the beach. I told her the decision was hers, but that the numbers were a good place to look before making any big moves. As we discussed them, I was impressed with how well she knew her numbers – her exact cost of goods, return rate, best selling skus and total units sold. Like me, she’s an external processor, so she just needed to talk it out. A few minutes into our conversation, the answers were already starting to appear. As she spoke her numbers to me, she heard the challenges and was able to weigh in the other factors in her decision like the hard work, what her business meant to her, and whether she was happier before at her “real” job. Every business owner should know her numbers. Potential investors and retailers expect you to know them cold. However, rumor has it that many small business owners hate accounting, so they avoid studying them. You don’t need to be an accountant to see the big picture. Note: With tight margins, most units were sold direct to consumers on her website and on Amazon (which gets about 15%). Knowing these numbers, we can look at last year’s results and project for next year. For last year, her gross profit was 1000 x $30 (Retail price [$50] minus cost of unit[$20]) = $30,000. $30k sounds like decent “profit”, but that’s not what went into her pocket. First, she has to subtract another $5.00 per unit (an average) to cover commissions paid to Amazon and discounts due to some wholesale sales. That brings the total down to $25k. With it being the first year, she had to pay for patent and trademark fees (easily $10k) which takes the net “income” down to $15k. Then, comes the marketing. She paid for a trade show, a celebrity gifting campaign, an ad in a magazine, graphics and branding, and website development. Add in all the product samples from manufacturing, business expenses, mistakes, liability insurance, etc., and suddenly the business shows a loss instead of a gain. And, the business owner did not take a salary. She worked very hard for a year and lost money. But, that’s year one. She’s down to a small amount of inventory, so it is decision time. In year two, she has momentum. 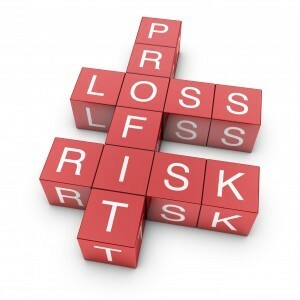 Her finances are tighter due to a year of lost income and the small loss on her business. But, she has customers, a brand, and sales history. She has learned that some marketing approaches don’t work for her product, so she can avoid those expenses in the future. Her huge legal fees for the patent are behind her (for now) and, most importantly, she’s discovered where her focus needs to be to make a profit. In year two, if she doubles her sales, focuses on direct-to-consumer, and keeps costs to a minimum, she could pocket close to $50k (2000 units times $25 profit each). That’s a reasonable salary. But, she’ll need to reinvest it or get a loan to buy inventory for year three. So, is it worth it to continue for another year for $50k? That’s the question only she can answer. For one person, the work of a business may be worth it for $5,000. But, a different business owner may want to see $100k or more to make it worth forgoing a regular income. And, there is always an element of risk. What if new competition shows up? What if there is a mistake in manufacturing? Once you know the numbers, you need to be clear on WHY you are doing this. What other trade-offs are you making to have or to keep your business? While I was carrying my rock, I was pretty focused on it. I set it down to take pictures or explore a little tide pool, but it was definitely a distraction. Meanwhile, my husband and kids had a little more freedom. And, I was getting a bit cranky despite enjoying the fact that I had a mission, something I personally find rewarding. On a recent episode of SharkTank, two moms received an offer for a buy-out of their business. While discussing it, one joked about what they’d do with the extra time if they sold, “We could be home more with our kids. And pay attention to them again.” These women may have been making light of the situation here, but this is a real problem for mom business owners. I’ve had several late-night, mommy-guilt conversations with business owners. Just today, one business owner shared that she was heading to the office before sunrise so she could get work done before the kids woke up. Another admitted to paying her girls $.50 an hour to play nicely while she worked. While entrepreneurs often go into business to have more time for our families, many quickly discover how every free moment is needed to respond to an email, get a shipment out, plan for the next campaign, or address some other task that needs to be done. Maybe you are one of the fortunate ones who is able make the time for your family while running your business. 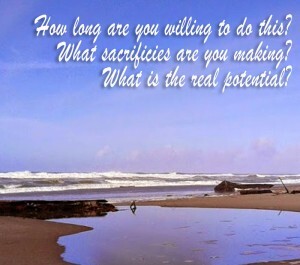 Are you required to make other trade-offs? Are you compromising downtime, friendships, sleep, your health? Sometimes when we head down a specific path, we focus on the destination and do the same things over and over just trying to get there. We lose creativity and perspective. There’s not a lot of room for creativity in carrying a rock on the beach; the normal strategy is simply to put one foot in front of the other. But, there are all kinds of choices in business. Handing the rock off to someone else was not an option. It was MY thing and no one was going to care about it like me. Maybe you’ve already experienced that sense of ownership in your business. You can’t change that total accountability, but you can accept it. Find a community of others who understand your journey. 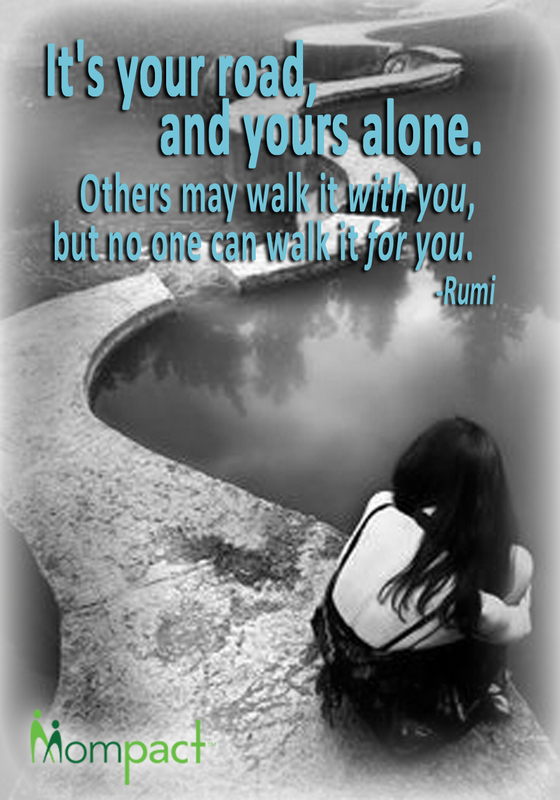 As Rumi said, “Others may walk it with you, but no one can walk it for you.” Don’t expect anyone to love YOUR business like you do. My resources were limited: I didn’t have a bag or way to drag the rock. I had to make the best choices with the resources and information I had available to me. Likewise, you may not get an investment, loan, or “big break” via a TV appearance. However, there are things you can do now. Focus on those things, not what you would do IF something happened. Get creative with your marketing. Exhausted all possibilities. Are there calls to potential partners or retailers you have been afraid to make? Can you find a cheaper manufacturer? I knew it was easier to walk on the wet sand. There was no reason to journey through the soft sand that was full of debris. What paths are best for your business? If selling on Amazon is more lucrative and easy than managing a bunch of small wholesalers, do that. Don’t focus on big box retailers just because others do. Don’t spend money on celebrity gifting suites if it doesn’t make sense for your product. The rock felt the heaviest when I focused on the weight of the rock. If I thought about what I’d do with it when I got home or enjoyed the gorgeous weather and sounds of the ocean, I forgot about my sore arms. 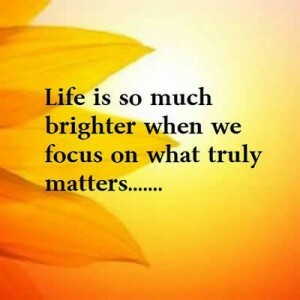 Are you focused on the right things? If you are worried about how many Facebook fans your business page has or how well someone else appears to be doing with her product, your burden will feel heavy. Enjoy the journey. The bottom line is that you need to control what you can, and let go of the things you can’t control. 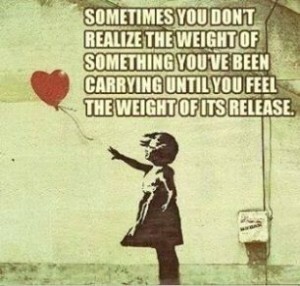 Are you holding on (or letting go) for the right or wrong reasons? Getting my rock to the car was not going to change my life in any significant way. But, I have to admit, my ego was at stake. My husband was hoping I’d put it down so he could playfully tease me about my little failure. It’s just a rock and a tiny little mission. What anyone else thinks about it should not even cross my mind. But, business ownership is very connected to personal ego and that can cause bad decisions. I’ve experienced feelings of much bigger failure than abandoning a rock. A year ago, I closed a business at a significant loss. I dreaded the questions and the judgement. Besides my own financial loss, I felt like I let others down who wanted to see it succeed. I had to look at the numbers to make the right decision because my emotions were tied to perceptions, not facts. Sales dropped from over $20k a month to under $5k. With high overhead costs, I kept it going to please others while I took a loss. A couple months later, I realized that and made the right business decision. Letting go of a business feels huge. But, here’s a little secret I learned: No one is watching as closely as we think they are. They don’t care. Fear of what others think is not a good reason to keep a business. It’s also not a good reason to close a business. I feel sad — and often a bit angry — when I hear that a business owner does not feel supported by her spouse. Maybe he doesn’t take it seriously, or feels jealous of the time spent on it. Sometimes a business is about more than money. It is a sense of accomplishment, identity, and a creative outlet. If someone doesn’t “get it”, don’t let that stop you. Many famously successful businesses and products were laughed at before they succeeded. Sometimes the business is not about “business” (jut be honest with yourself if that’s true for you). A few years ago, I knew I needed a business because I felt a loss of identity after having children. Prior to being a mother, I had a rewarding professional career. Unlike a lot of women, I didn’t experience fulfillment as a stay-home mom. I didn’t know how to answer questions like, “What do you do?” and my mind ached from lack of creative and intellectual stimulation. I needed to work. If your business fulfills you personally, that needs to be factored into any decision you make about it. If your business isn’t generating a lot of money, yet you feel good about what you are doing, that’s perfectly okay. Make the decisions that are right for you. What are the other hidden rewards of your business? Do you enjoy the community, the learning, and sense of accomplishment. Balance those rewards against your numbers. Are you thinking of quitting because you are tired? Find a way to take a break and come back with a renewed love for your business. Whatever your decision is, make it for the right reasons. Despite the arm discomfort and my husband’s harmless teasing, I decided to keep carrying my rock. For me, it wasn’t just about costs vs. rewards and all the other factors that need to be considered in making a much bigger decision like pursuing a business. I simply wanted this rock — partly out of nostalgia, but more because it was special. This rock is the only one I have ever found that actually has a heart in it. What keeps you carrying on?